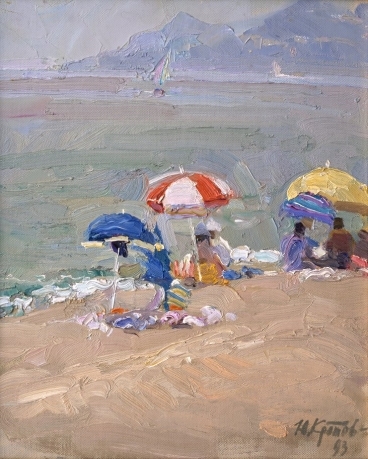 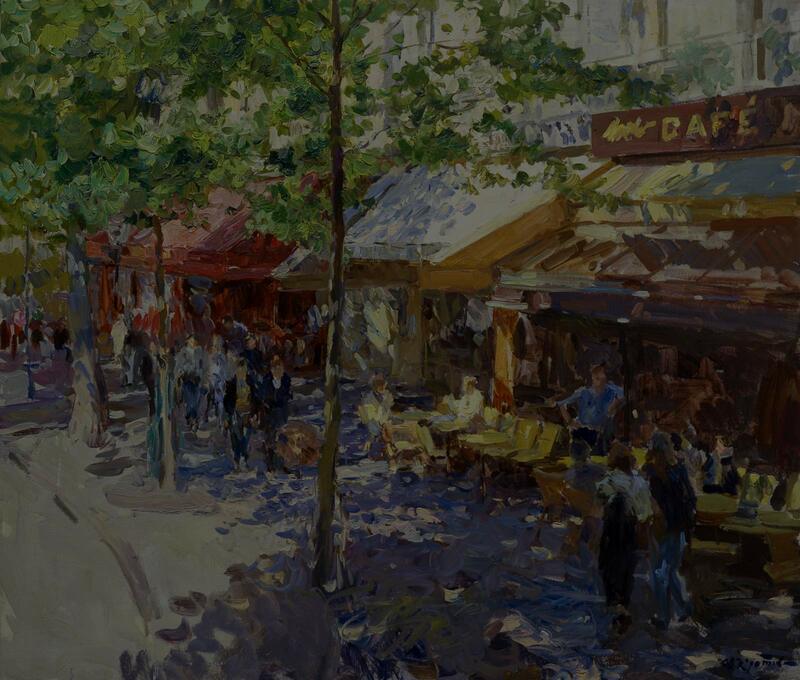 «Seaside umbrellas»; 33х24; oil on canvas; 1993. 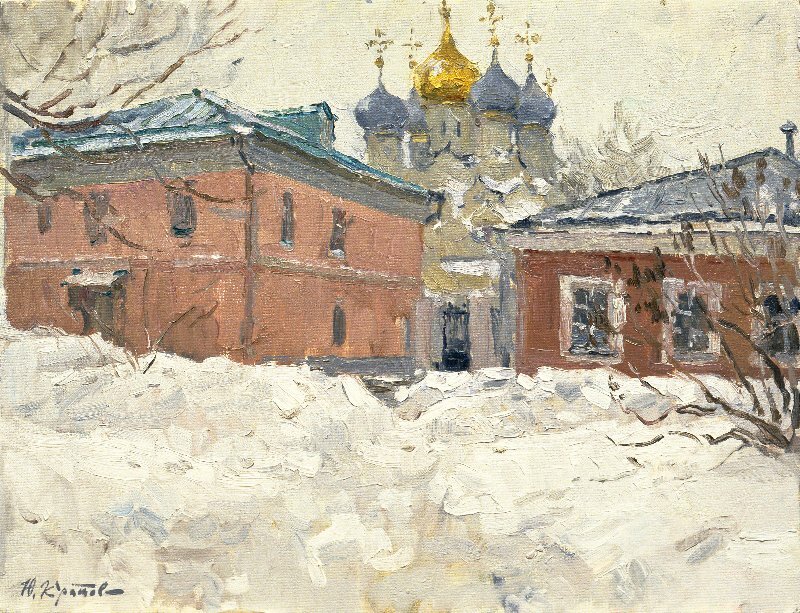 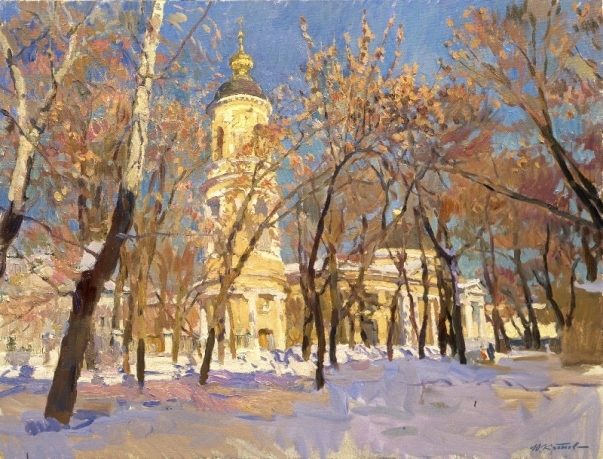 «The last snow»61х71; oil on canvas; 2011. 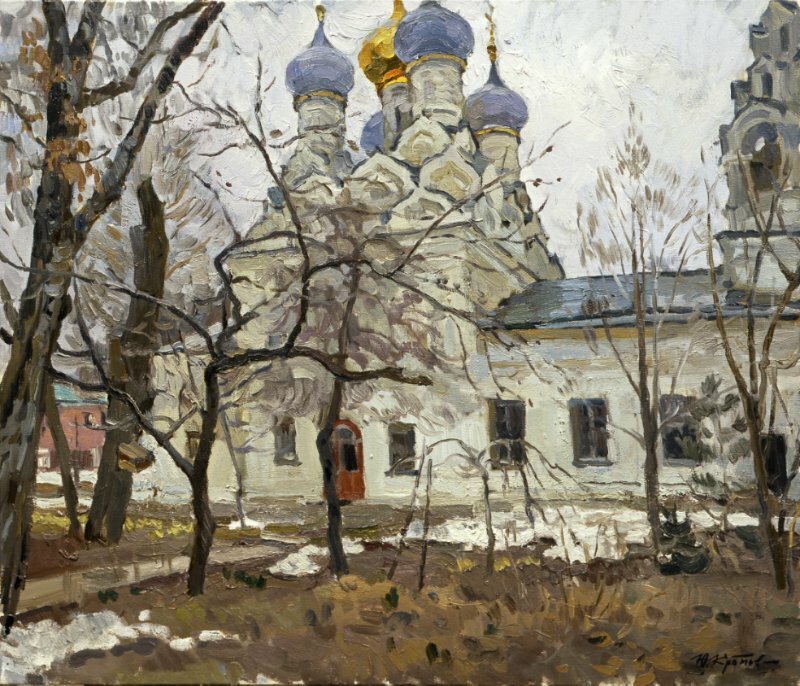 «Spring on the Ordynka»80х100; oil on canvas; 2011. 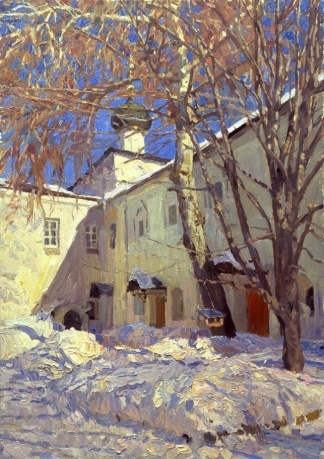 «Snowy winter»40х50; oil on canvas; 2011. 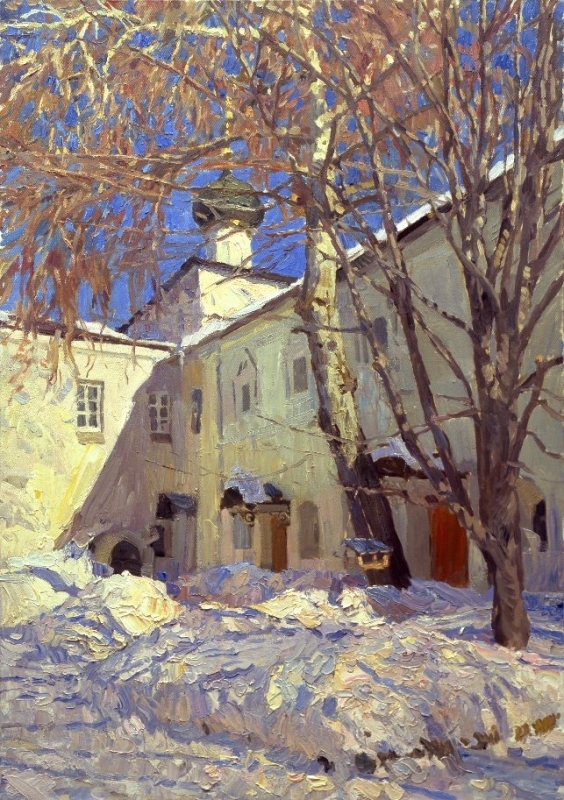 «Monastery court»80х100; oil on canvas; 2011. 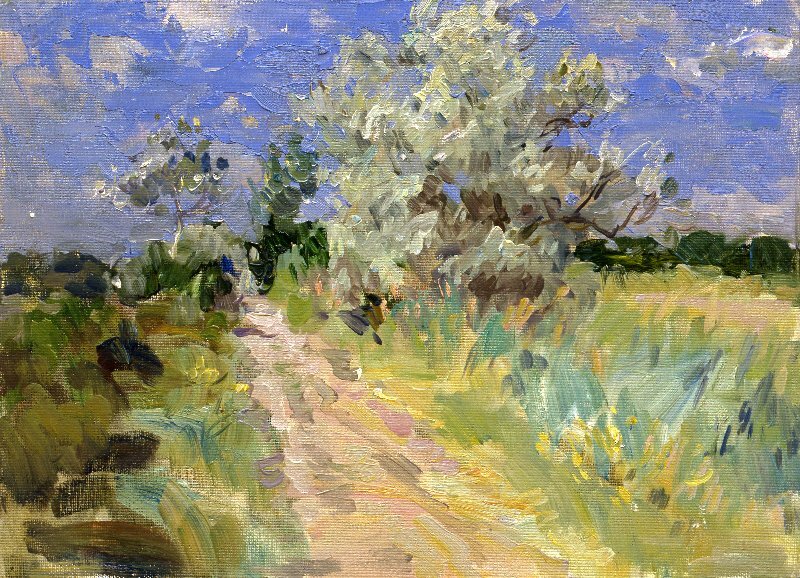 «Field road»27х33; oil on canvas; 2000. 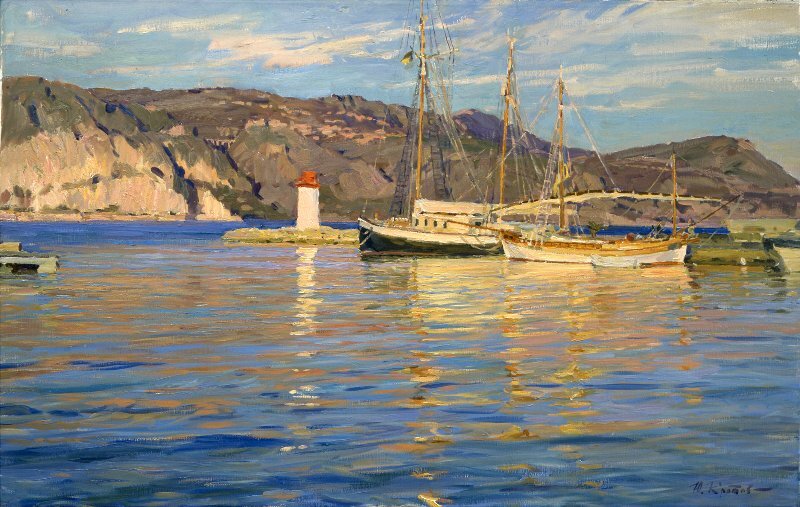 «Yachts at the port»64х91; oil on canvas; 2007. 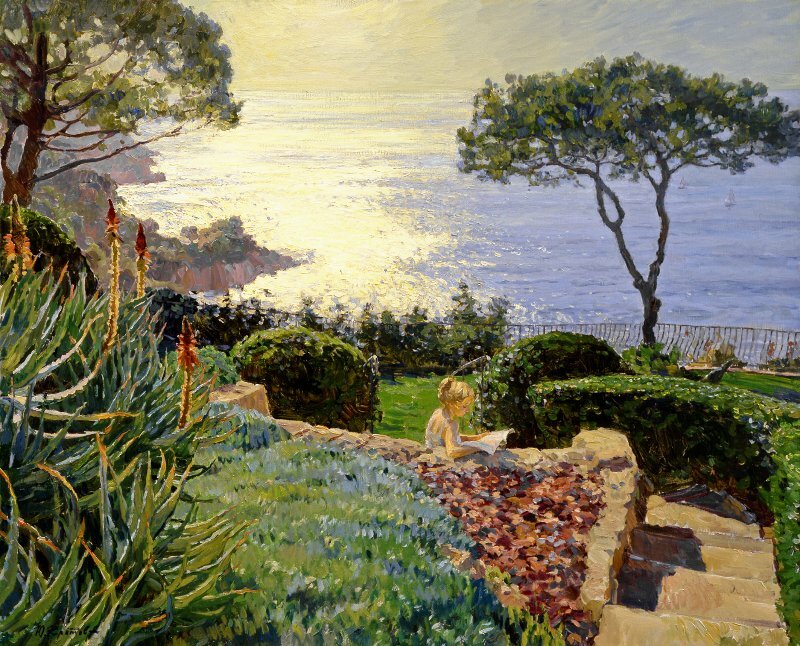 «Seaside umbrellas»33х24; oil on canvas; 1993. 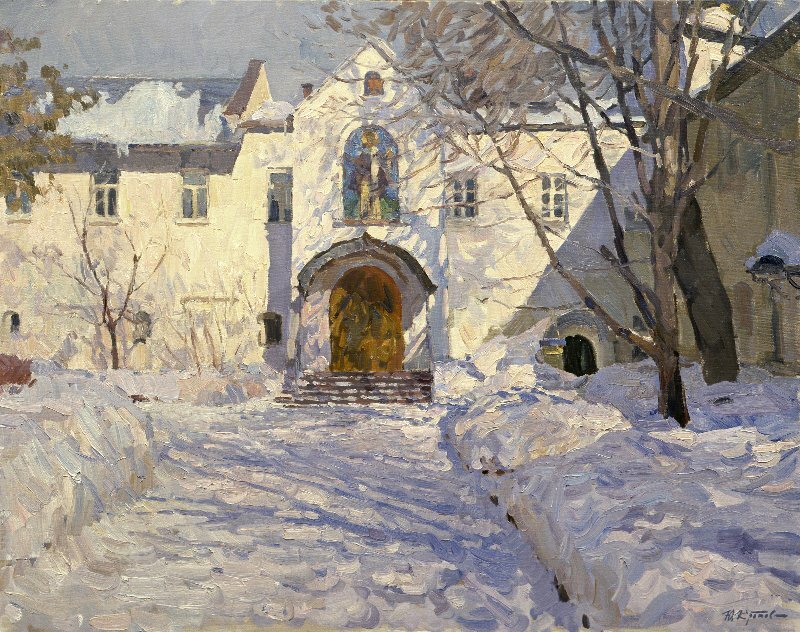 «Suny rhapsody»90x100; oil on canvas; 2007.